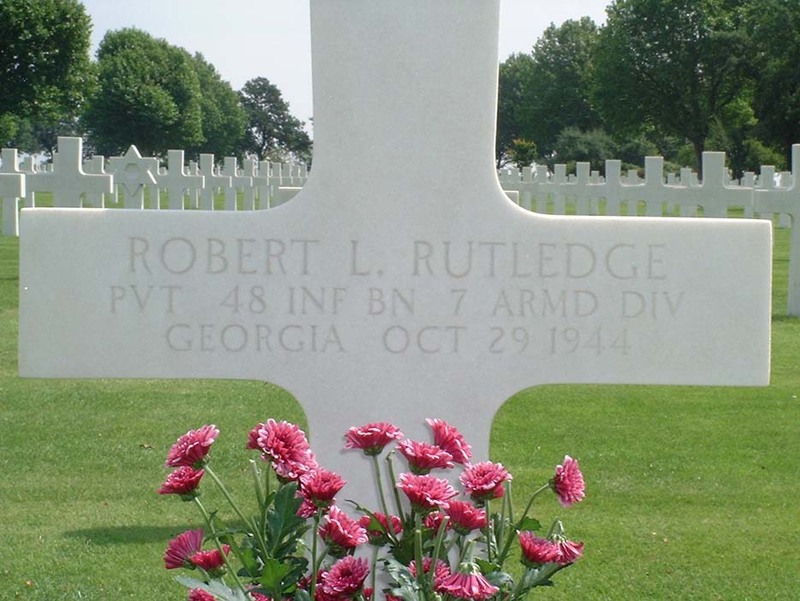 Above: Images taken on or about 21 July 2002 at the grave site of Robert Lee Rutledge at the American Cemetery in Margraten, Holland. The images were taken by Mr. Martien Salden and his wife. The Salden's are a very kind and generous couple from the area who assisted Ginger and her family in obtaining current images of her Dad's final resting place. Below is an e-mail message received along with the attached images. 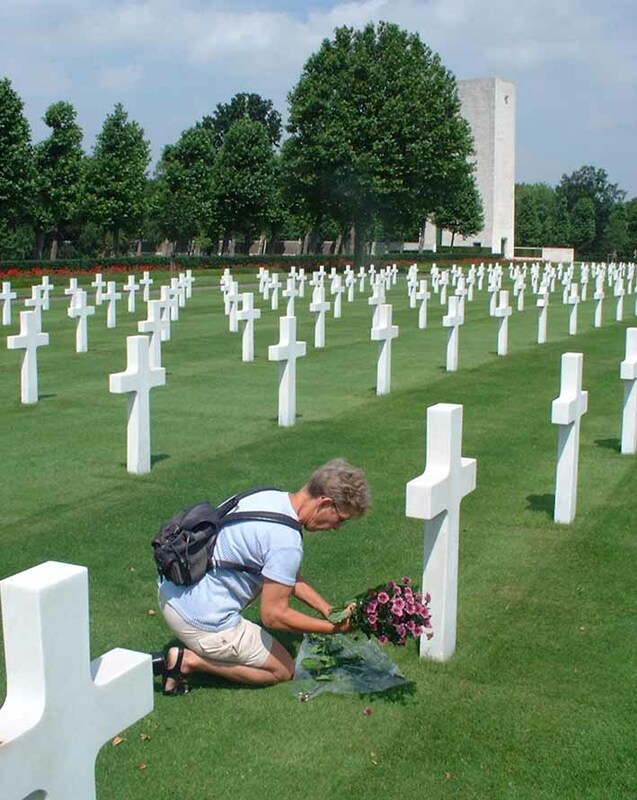 Web master note: When the war ended and the American Cemetery in Margraten was established, it became a matter of pride for local families to "adopt" a grave site of a fallen soldier to care for -- and in many cases, laying flowers on the grave on behalf of the family back home in America. As time progressed, the tradition was passed down to succeeding generations -- and the wonderful gesture continues! The mention of the B-17 crew is in reference to another lady who is searching for images of the final resting place of the crew of a B-17 shot down in the area. The hyper link to this series of images is listed below. Thank you Mr and Mrs Martien Salden of Holland -- for caring! 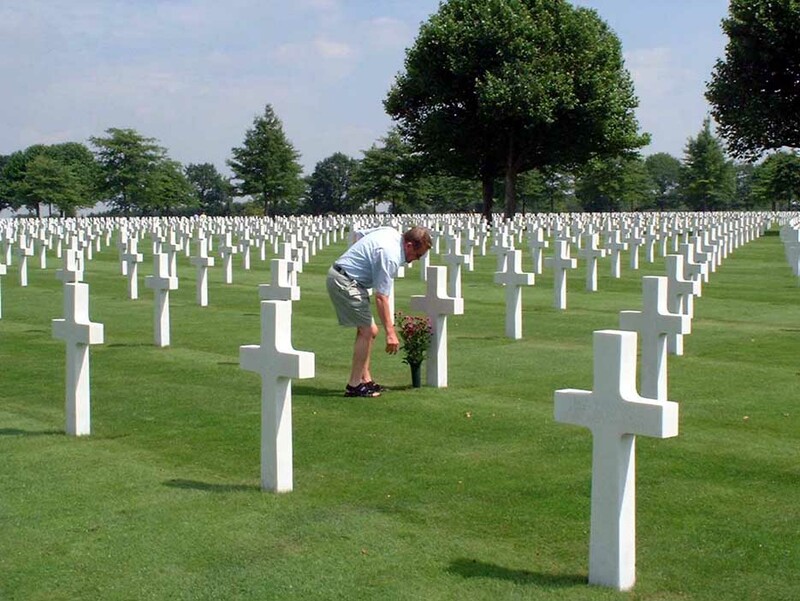 Today we were at the War Cemetery in Margraten to visit the Grave of your Dad. We brought him some flowers, gave him a big hello from you and his beloved ones and said some prayers for him. We also made some pictures. They are attached on this mail. p.s. 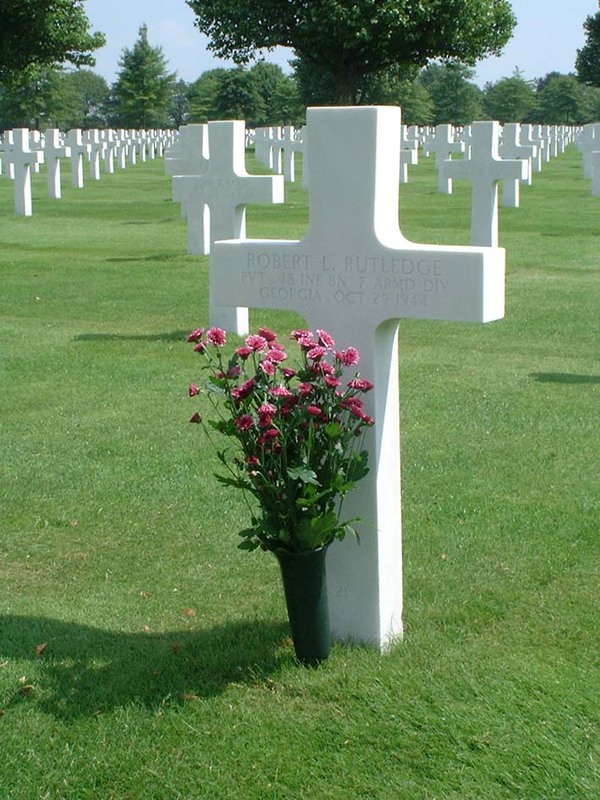 I also attached a link from a page I made for the daughter of a B-17 pilot who crashed above Holland. She asked me if I could find the Graves of this crew. I found them and made with the pictures a page on internet. You also can see some views of the Cemetery your Dad is resting. Original Story from messages received on 21 July 2002. Story originally submitted on: 30 July 2002.